The NHL lockout has forced most hockey writers to cover boardroom negotiations and players' prospects overseas instead of actual games, but Pat Hickey of The Montreal Gazette has found something a little different to write about. 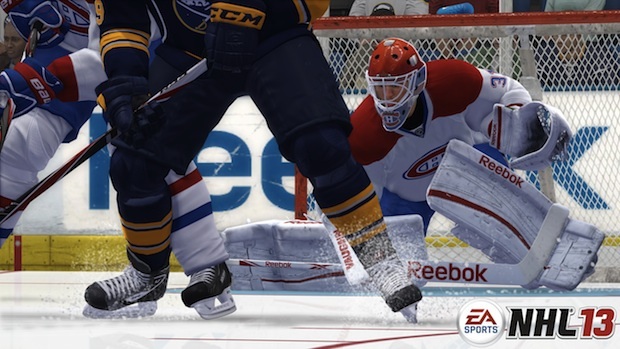 As noted by Bloomberg Businessweek, Hickey has been covering a virtual season for the Montreal Canadiens just as he would the real one, with EA's NHL 13 providing simulated games in the absence of any actual action on the ice. Coincidentally, the Habs are currently tied for first in the league. As Hickey tells Bloomberg, covering a virtual season comes with some benefits -- the games only take about an hour each and he's able to make up quotes -- and it's also proven to be surprisingly popular. Last week, one of his write-ups was reportedly the most-read sports story on the paper's website. You can catch up with the season to date, and for at least a few weeks to come, at the source link.